Mali Mish - Day 53: Sprecher Brewery Tour in Milwaukee. 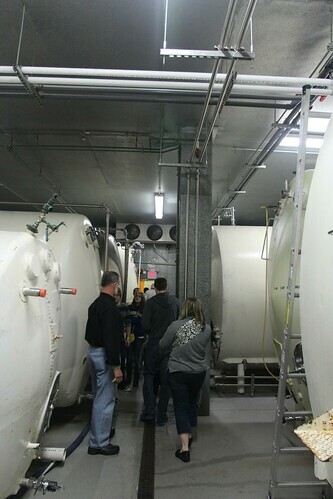 Day 53: Sprecher Brewery Tour in Milwaukee. Our first night a Cliffside Park was great. 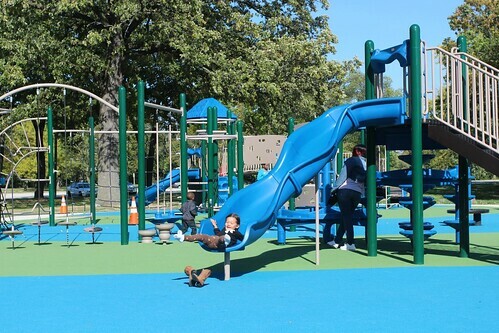 With no one in the campground, clean bathrooms and free hot showers, it beats camping in tight spaces near the city. 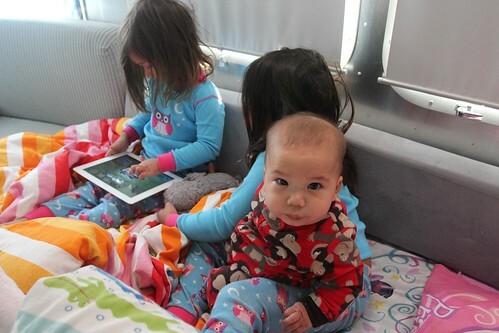 The girls got up early and as usual, both squeezed into Ava’s bed for a little morning entertainment on the iPad. This time, Luka thought he would join in on the fun. Since today is a Monday, it is technically a school day. Before we headed into Milwaukee, Ava had to get a little science lesson from Teacher Marlene. She is getting a lot better with her lower-case letters. 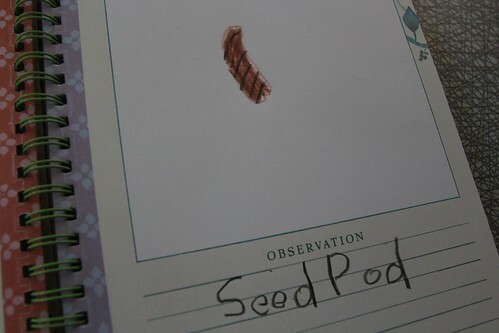 She found a seed pod that has fallen from the trees around the campground. Although the picture she drew can also pass for a beer brat. Our facebook friend from Wisconsin, Krista, has been giving us lots of ideas for things to do and places to visit. She and her husband had lived in the Milwaukee area before moving up to the northwoods of Wisconsin. 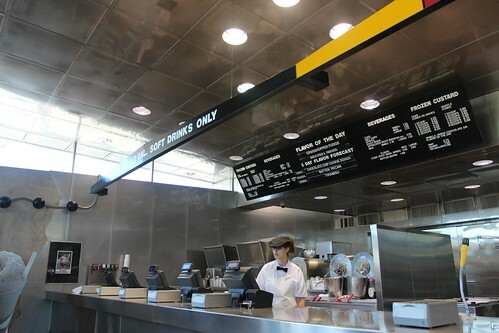 Following her advice, we headed to a burger and frozen custard joint called Kopp’s. Kopp’s is an interesting place. There are no tables and chairs, just benches. 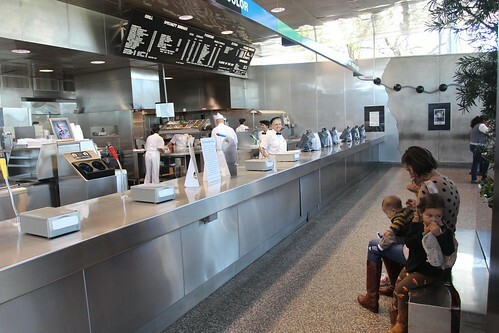 Everything including the counters, walls and ceilings are cladded in stainless steel panels. It gives it a very sterile look of a hospital especially since all of the staff is wearing white uniforms. 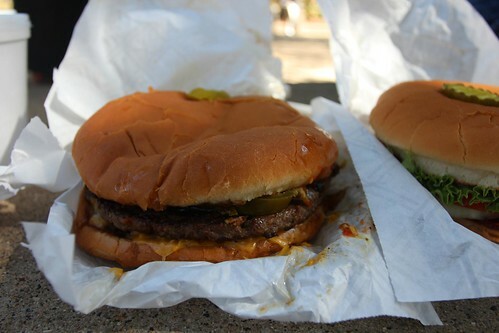 The burgers though were the real deal and nothing like the usual hospital fare. I think these photos pretty much speak for themselves. 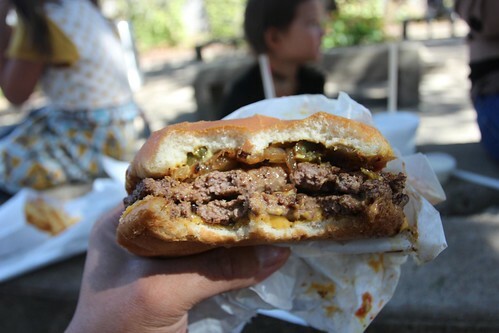 I got the double cheese with jalapenos and grilled onions. I know you might not have wanted to see the inside of my half-eaten burger but I know I will when I come back to the blog later to reminisce about this visit. 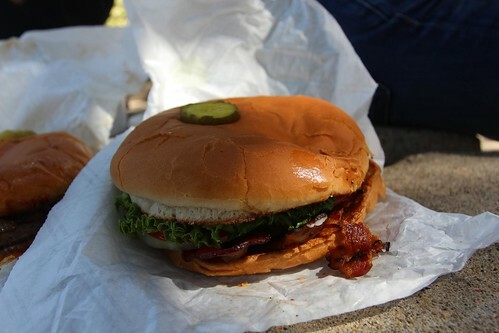 Marlene’s was a hamburger with bacon. 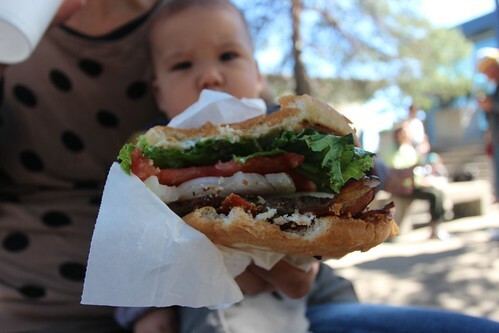 She is still trying to stay away from dairy for that little guy in the background staring at her burger. Our destination for the day is Sprecher Brewery. This is one of the many breweries that have emerged in Milwaukee since so many of them closed shop during prohibition. This is also where Krista works as a sales and marketing rep.
As we were driving around Milwaukee today, I noticed a lot of planes in the sky leaving chemtrails. 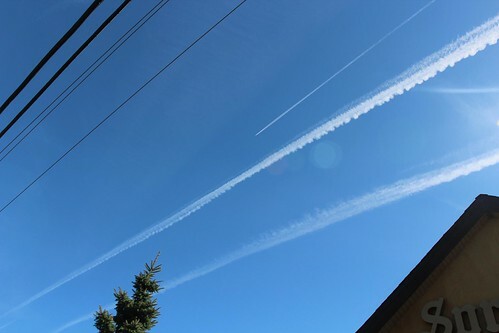 Unlike the usual contrails that are just water vapors that dissipate almost immediately, the chemtrails do not dissipate right away and will persist in the sky to eventually fall on earth. These things are often used in skywriting but it can also be used for things like artificial cloud formation to induce rain. I have no idea what these chemtrails are doing in the sky around Milwaukee but it would be nice if there was a way to find out. 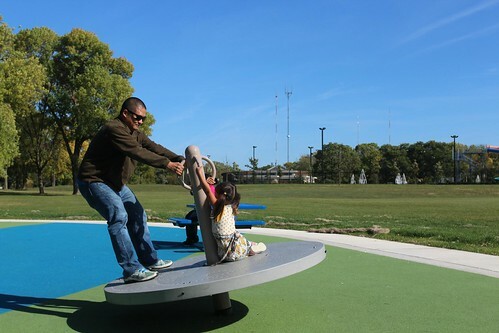 Krista hooked up us with free brewery tours today at 4pm but since we got there a bit early, we headed over to a nearby park for the girls to play for a bit. I know they will be bored to death listening to grown ups talking about making beer later so this is a good trade off. 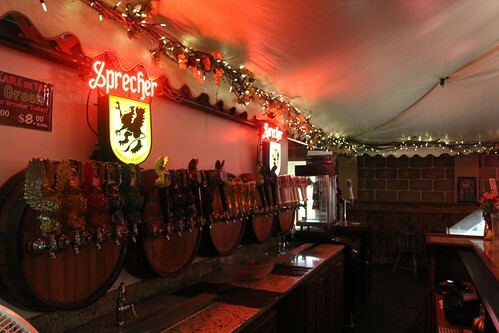 Sprecher Brewery was founded in the Milwaukee area by its founder Randal Sprecher in 1985. Randal is actually a California native who studied at UC Davis. After getting a degree in oceanography, he found out he was prone to seasickness and decided to get a second degree in brewing. He came to the Milwaukee area to work for the Pabst Brewing Company. After a short tenure at Pabst, Randal Sprecher founded his own microbrewery for $40,000. He had traveled through various places in Europe at a younger age and had always thought that there ought to be a brewery that specializes in many of his favorite beers from his year in Europe. 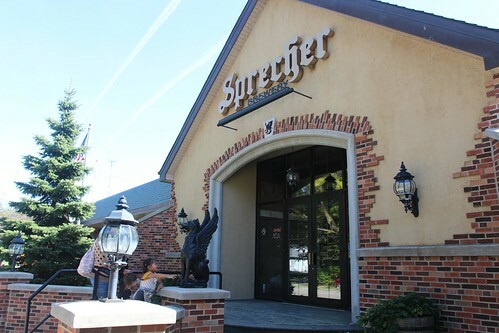 Sprecher had been Milwaukee’s first microbrewery since its founding in 1985. Only in this last year, it had grown beyond the ‘microbrewery’ designation. It produced 17,000 barrels which is 2,000 over the 15,000 barrels allowed to be still labeled as a micro. As of this year, they are officially considered a craft brewery. Aside from the various types of beers it produces, it is also well known for the its naturally-flavored sodas. Every soda they make is sweetened with pure Wisconsin honey instead of sugar or syrup. The only exception is their low-calorie soda which uses a small amount of artificial sweeteners along with honey. It is considered a diet soda because of its caloric content but it has the same great taste. Unlike beer, sodas are much easier to produce. They can take an order in the morning, mix the soda, force carbonate, bottle it and ship it all in one day. Even though this is now considered a ‘craft’ brewery, its operations are still more like a microbrewery. As compared to the two other breweries we visited, (Coors in Golden and Leinenkugel in Chippewa Falls) Sprecher is significantly smaller. 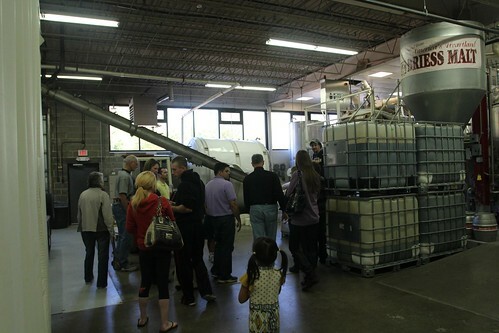 Our favorite part of the tour is, for obvious reasons, the tasting portion. 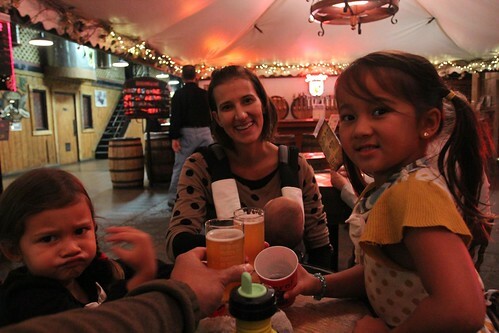 We got to choose from about a dozen different varieties of beer as well as several soda selections. I had chosen to stop drinkog soda, diet or otherwise, for a few years now. But since we are here at Sprecher, I did make the exception of tasting their sodas. One of my favorites is the orange cream which tasted just like an orange creamsicle. 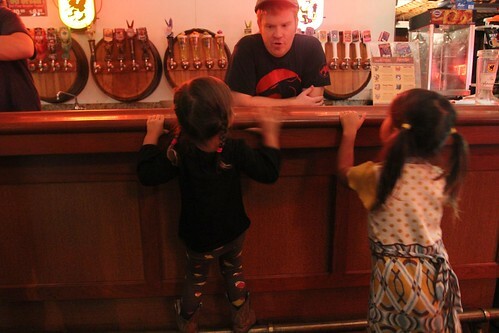 The girls were also shameless to take the bartender up on their unlimited soda offer. There were about 15 different beers offered at the bar. We could only taste 4 of them so we had to choose wisely. Marlene is not a fan of the dark ales and stouts so she opted for the Hefe Weiss and Summer Pils. 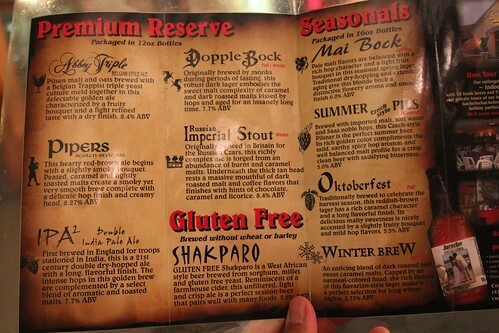 My favorites were the Abbey Triple and the Oktoberfest. Their double IPA was quite a tasty treat as well if you are into REALLY hoppy and bitter beers. We lingered around the brewery until the bartenders practically had to kick us out so they can go home. This is by far the best brewery tour we have had so far. The bigger breweries are nice but they don’t allow nearly as much access to the facilities as the smaller microbrews. 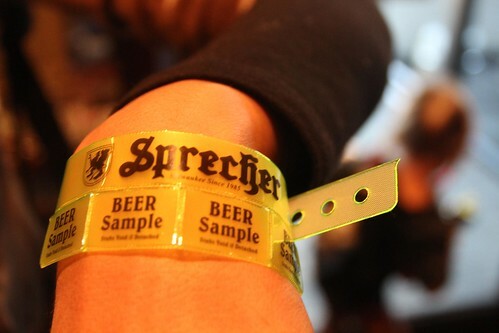 Needless to day, we have become new fans of Sprecher. Day 52: Cliffside County Park and the Wind Point Lighthouse. Day 54: Milwaukee’s Historic Third Ward and the Pabst Masion. 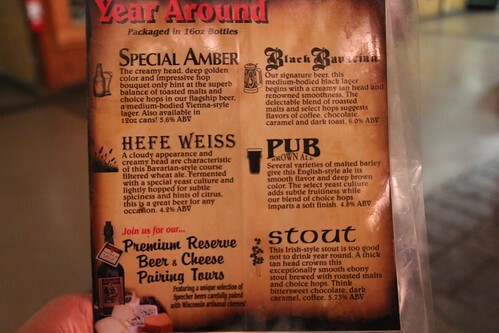 2 Responses to Day 53: Sprecher Brewery Tour in Milwaukee. Dan, Debbie and I went to Kopp’s once with Steve and the boys on our way to the Milwaukee Airport. It was mobbed. The burgers were great. I went to medical school in Milwaukee. It’s a beautiful town with an unfortunate winter problem.